William III of Orange was the king of England the last time British interest rates were this low. 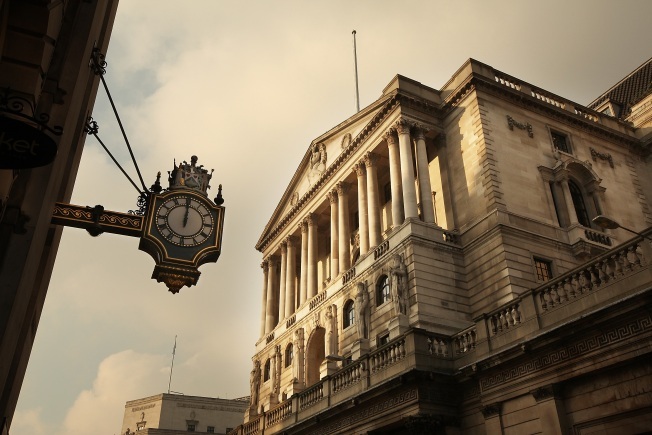 The Bank of England on Thursday cut interest rates to the lowest level in its 315-year history, taking it into uncharted territory as it attempts to ward off a prolonged recession. The half point cut in interest rates — to 1.5 percent — sees the central bank nearing the limits of conventional monetary policy after trims totaling 3.5 percentage points since the beginning of October and as Britain faces its bleakest year since the early 1990s recession. The half a percentage point cut was less dramatic than the 1.5-point trim it announced in November, and lower than the 1-point cut expected by some economists — but still brings the rate down to the lowest level since the Bank of England was founded in 1694. The bank's nine-member monetary policy committee said the world economy "appears to be undergoing an unusually sharp and synchronized downturn." "Measures of business and consumer confidence have fallen markedly," it said in a statement accompanying its decision. "World trade growth this year is likely to be the weakest for some considerable time." The move follows aggressive cuts by other central banks. The U.S. Federal Reserve has already slashed its key interest rate to a record low, at a range of zero to 0.25 percent, while the Bank of Japan has dropped its rate to almost nothing, at 0.1 percent. The Bank of England's latest decision widens the gap between Britain and the Euro zone, where the European Central Bank also recently cut rates to the current 2.5 percent. The ECB is now facing increasing pressure to plump for a larger downward move when it announces its monthly decision on Jan. 15.